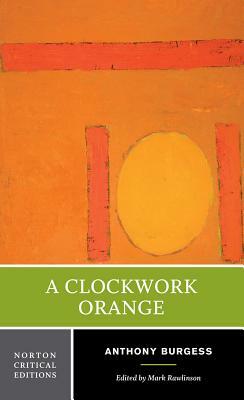 The Norton Critical Edition of A Clockwork Orange is based on the first British edition and includes Burgess's original final chapter. It is accompanied by Mark Rawlinson's preface, explanatory annotations, and textual notes. A glossary of the Russian-origin terms that inspired Alex's dialect is provided to illustrate the process by which Burgess arrived at the distinctive style of this novel. "Backgrounds and Contexts" presents a wealth of materials chosen by the editor to enrich the reader's understanding of this unforgettable work, many of them by Burgess himself. Burgess's views on writing A Clockwork Orange, its philosophical issues, and the debates over the British edition versus the American edition and the novel versus the film adaptation are all included. Related writings that speak to some of the novel's central issues--youthful style, behavior modification, and art versus morality--are provided by Paul Rock and Stanley Cohen, B. F. Skinner, John R. Platt, Joost A. M. Meerloo, William Sargent, and George Steiner. "Criticism" is divided into two sections, one addressing the novel and the other Stanley Kubrick's film version. Five major reviews of the novel are reprinted along with a wide range of scholarly commentary, including, among others, David Lodge on the American reader; Julie Carson on linguistic invention; Zinovy Zinik on Burgess and the Russian language; Geoffrey Sharpless on education, masculinity, and violence; Shirley Chew on circularity; Patrick Parrinder on dystopias; Robbie B. H. Goh on language and social control; and Steven M. Cahn on freedom. A thorough analysis of the film adaptation of A Clockwork Orange is provided in reviews by Vincent Canby, Pauline Kael, and Christopher Ricks; in Philip Strick and Penelope Houston's interview with Stanley Kubrick; and in interpretive essays by Don Daniels, Alexander Walker, Philip French, Thomas Elsaesser, Tom Dewe Mathews, and Julian Petley. A Selected Bibliography is also included.